According to a report from Bloomberg, the Cupertino giant’s long-term licensing deals with the labels for both Apple Music and iTunes are due to expire at the end of this month. 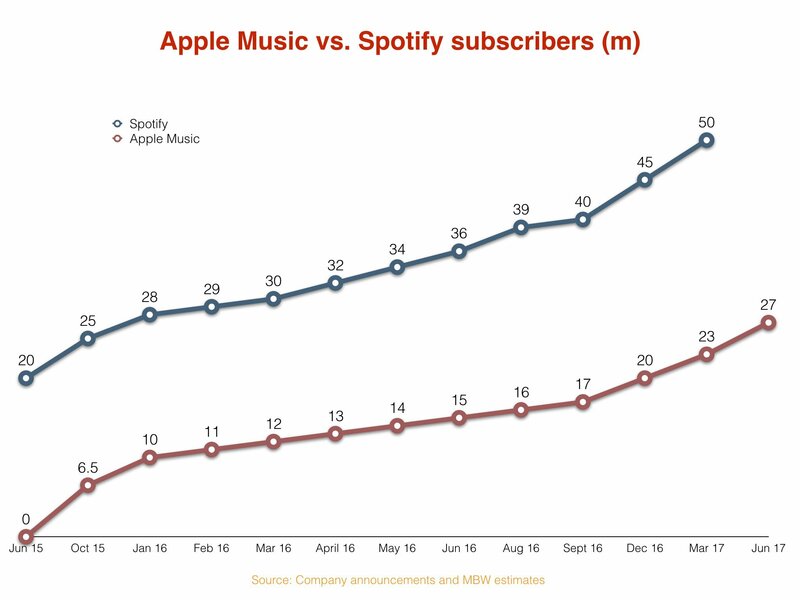 As part of the re-negotiations, Apple is apparently asking to bring its label revenue share rate down from 58% closer towards Spotify’s equivalent. Bloomberg’s sources suggest that, like with the Spotify deals, labels are broadly open to the discussion with Apple – so long as the company commits to agreed subscriber growth targets, as well as continued promotion of iTunes in key download markets. Both Warner and Sony are yet to sign new long-term licensing agreements with Spotify, but MBW’s sources suggest that hopes are high that a deal with at least one of the pair will be struck by the end of July. Spotify announced last week that it now attracts over 140m monthly active users, around 53m of which are believed to be paying subscribers. Apple announced earlier this month that it now has more than 27m subscribers on its platform.